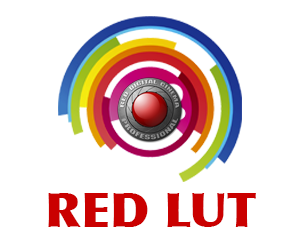 Free Luts — Sudip Shrestha - Digital Cinema Colorist, Video Colorist Based in Dubai Uae. Digital Cinema Luts is free to use. Designed by Sudip Shrestha. Everest Lut, Lumbini Lut. Digital Cinema Colorist offers free luts compatible with Adobe Production Suite, Davinci Resolve, Baselight, Assimilate Scratch. You can upload your image in DPX, TIFF or JPEG format and your desired reference image. We will send you Luts within 48 hrs in your email. Its free. Your support will play key role to make this webiste live and updated. Click on the type of Lut you'd like to download for FREE! Digital Cinema Colorist - Sudip Shrestha designed this Luts for video color grading and post production. It's free to use. You can use this Luts with Davinci resolve, Speedgrade, After effects, premiere and even Photoshop. For older programs such as FCP7 and before Adobe cc you may need to download a utility like LUT Buddy to use my luts. Please donate for Premium Luts downloads. 1. Run Premiere Pro CC. 2. Insert the footage you would like to color edit onto the Timeline. 3. Go to the Project tab, right click in an empty space within the tab, go down to New Item, and select Adjustment Layer. 4. Apply the adjustment layer to the Timeline, right about the footage you would like to color grade. 5. Go to the Effects tab, and search for Lumetri Looks. Apply one of the Lumetri Looks effects to theAdjustment Layer. 6. Click on the Adjustment Layer, and then click on the Lumetri Looks effect. Click the Setup button found to the far right. 7. Find the LUT you would like to use for the desired effect. 9. Apply the RGB Curve effect to the Adjustment Layer above the Lumetri Looks effect (the LUT you are using). 10. If the LUT is too strong (color wise or exposure wise), you can adjust the opacity of the Adjustment Layer in theEffects tab until you get your desired look.